Worship - St hildeburgh's parish church hoylake. 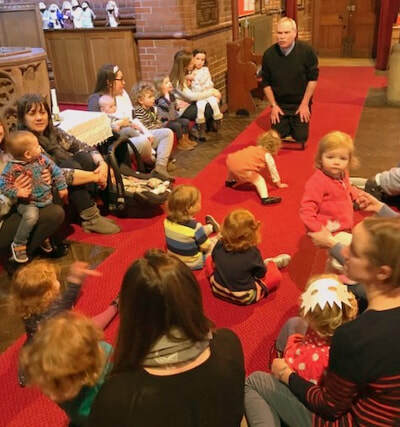 St Hildeburgh's Church has services and worship in modern and traditional styles that cater for the whole community, ranging from Holy Communion in modern language, a monthly family praise service - to worship using the traditional language of the Book of Common Prayer. We have regular "Messy Church" days, informal "Open Worship" and Healing Eucharists. All are welcome at our worship. 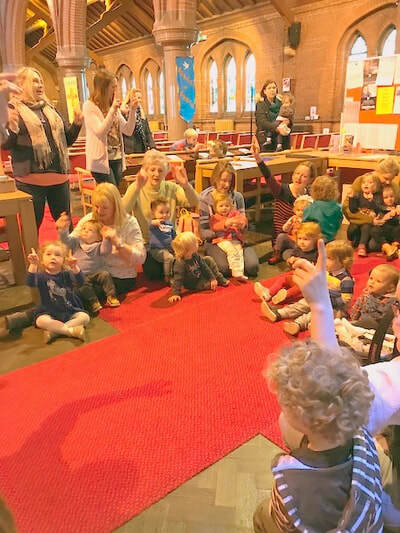 Every couple of months on a Saturday afternoon "Messy Church" - activities, craft, lively worship and a hot meal for children families and carers. St Hildeburgh's main, Sunday service is usually Holy Communion at 10.00am. It is in modern langauge with hymns/worship songs and sermon. During the service our group for young people called 'Voyagers' meets. The service is followed by refreshments in the Church Centre (behind the church). At 8.00am on Sundays and 10.00am on Wednesdays there is a short service of Holy Communion in the Lady Chapel of the church. Again, in modern language. At 6.00pm on the last Sunday in the month, there is a sung service of Holy Communion that uses the traditional language of the Book of Common Prayer. At 10.00am on the Last Sunday in the month, we have a service of 'Family Praise'. This service is more informal, with lively worship songs and lots of activities for children it aims to cater for all ages. Followed by refreshments. A service using contemporary language and themes, designed to cater for worshippers of all ages and backgrounds. For those who do not receive communion (the bread and wine), special blessings are offered instead. At 6.00pm on the second Sunday in the month, we have a service called 'Open Worship'. This is a modern, less formal form of worship, taking place in the Church Centre. Modern worship songs, discussion and refreshments throughout. At 10.00am every couple of months on a Sunday, there is a 'Healing Eucharist'. This is a service of Holy Communion with optional laying on of hands. There is a well-attended, 'Mums & Tots' group (dads & carers too!) that meets in our Church Centre on Wednesday mornings during school term. A short, very relaxed and informal service is held for this group in the church on alternate weeks. Every few months, on a Saturday afternoon, we have 'Messy Church'. This is a fun-packed afternoon of worship, songs, craft activities and games for children accompanied by adults. Followed by a hot meal for all. Every couple of months, on a week day afternoon, we have a special service for care home residents, their families and friends. 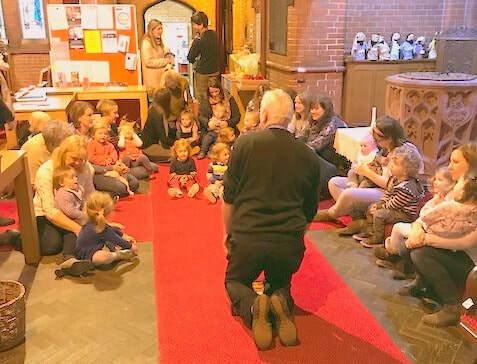 It is held in the church and is followed by refreshments. At 9.00am, most Tuesdays, Wednesday and Thursdays, there is a short service of Morning Prayer held in the Lady Chapel of the church. ​To arrange a baptism (Christening), wedding or funeral, please contact the Vicar or the Parish Office (see the "CONTACT" page of this website).